And there are more! 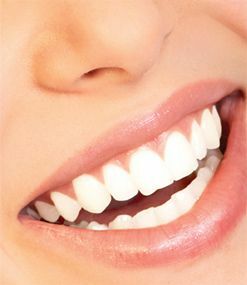 If you missed the first two blogs on whitening solutions and how to determine which is best for you, visit https://dentalpassions.com/tooth-whitening-solutions-by-cost/ and https://dentalpassions.com/over-the-counter-teeth-whitening/. But for now, let’s talk about the least talked about whitening solutions: At-home-whiteners that use light and toothpaste. Many dental offices will use a hand-held light to activate a bleaching agent (a hydrogen-peroxide based serum) they applied to your teeth. This is one of the most “high-tech” whitening solutions and therefore, one of the most expensive, at as much as $198 a kit. For many though, the price is worth it, as the more expensive of these systems promise a smile up to 6 shades lighter after just ONE 30-minute session. There are systems that sell for less, such as Luster’s 1-Hour White Tooth Whitening Light System, which sells for $39.99 at Walgreen’s and claims to achieve the same results as the more expensive systems, except for in 1 hour as opposed to 30 minutes. The results of these systems are said to last for up to two to three months. If your motto is “slow and steady wins the race” or “natural is better,” then toothpaste is the simple solution for you. Toothpaste is a whitening agent in and of itself, but many people don’t view it as one because they’re unwilling to give up coffee, wine, smokes and other discoloring agents that hinder the whitening agents from doing their jobs. However, while toothpaste has the ability to brighten a smile, results are best when paired with some other bleaching agent.